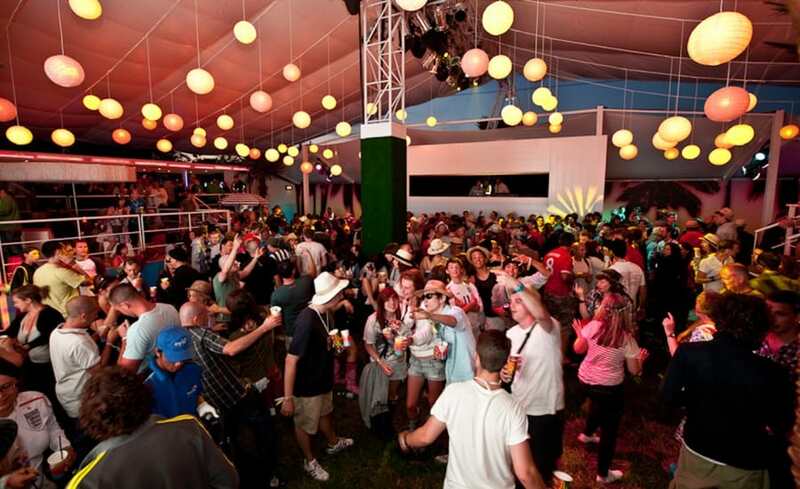 As a launch for their brand new karaoke game, Sony Playstation chose Glastonbury Festival 2010 to create all encompassing experience based on the theme of ‘Cocktails and Dreams’. Architen Landrell was brought in to work with the scheme designers, Iris, to come up with a demountable, retractable roof canopy to cover the event space. 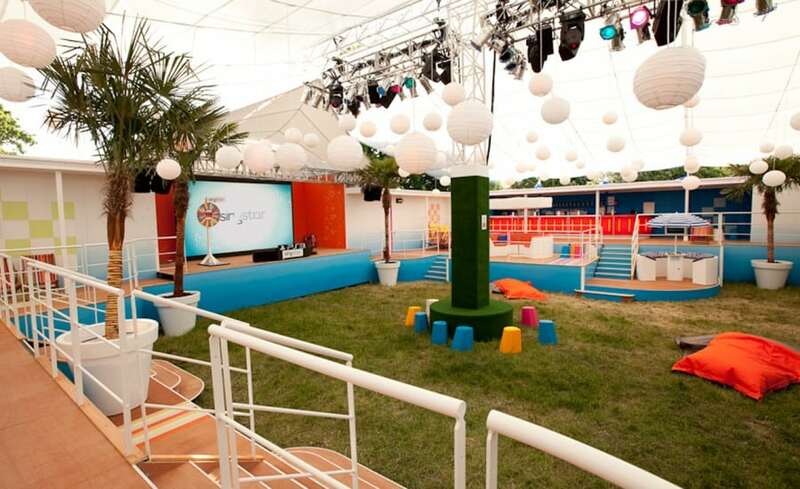 Although Playstation have had a presence at numerous festivals in the UK for several years, this year they had a much bigger venue to launch its new game. The client required an elegant solution which would work in all scenarios, and across a variety of locations, be visually striking when the roof was on or off, be cooling and shady in the sun and to protect the main area from the rain. The main roof was to be manually removed in under half an hour and was to be easily taken down and stored at the end of the festival so it was a tall order! We concentrated on three main areas; a fully tensioned stage roof, canopies at the entrance to the site, and the main roof covering the majority of the site. The main roof featured two 300sqm panels which retract manually in seconds. The entire system was designed to be easily raised and lowered and included in-built systems to prevent jamming. The retraction system is operated by lines concealed behind the trailers onto which the fabric is mounted and is simply unclipped from the runner cables after the event and folded into carry bags. Drainage was a major consideration for this project so the panels of the main roof were designed to allow for a shallow gutter towards the base of the panels. A water outlet was fitted into the fabric above the trailers to allow the water to be diverted away from the men operating the system at ground level. 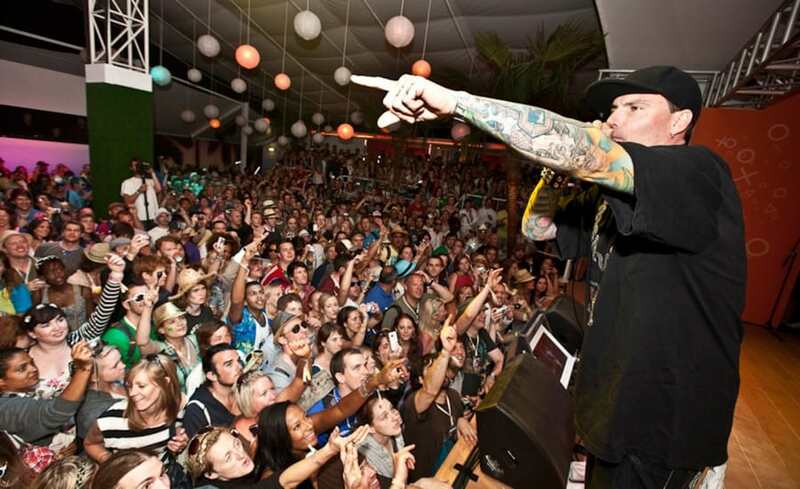 The project was a huge success at its first outing in Glastonbury and has continued to wow festival audiences across the UK. 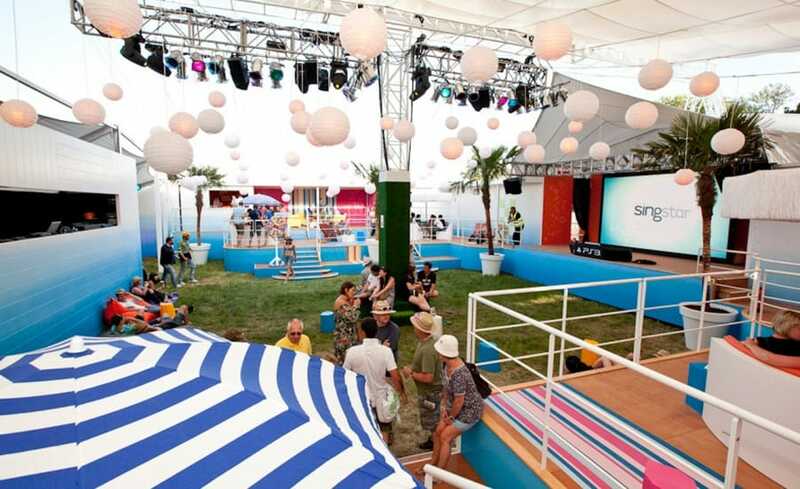 Whilst the sculptural stage roof and entrance canopies are visually striking on their own, the space is instantly transformed from an open air party into an intimate venue when the two sections of the roof canopies are fully raised. 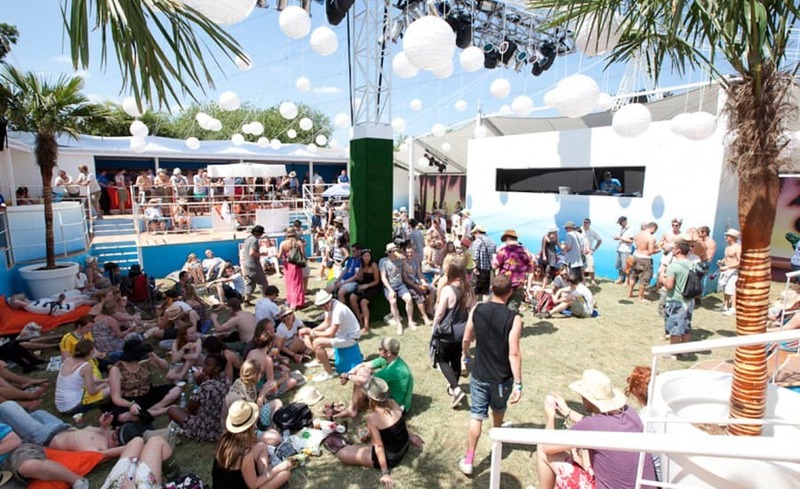 Even in the rare sunshine British sunshine, the use of a translucent PVC coated polyester fabric allowed some light to permeate into the venue and helped the structure to come unto its own as a cool, shady haven for those looking for a more relaxing experience.